The 78" Encore Double Bath Vanity offers an ultra-modern, yet ultra-functional take on what a bath vanity should offer your bathroom. 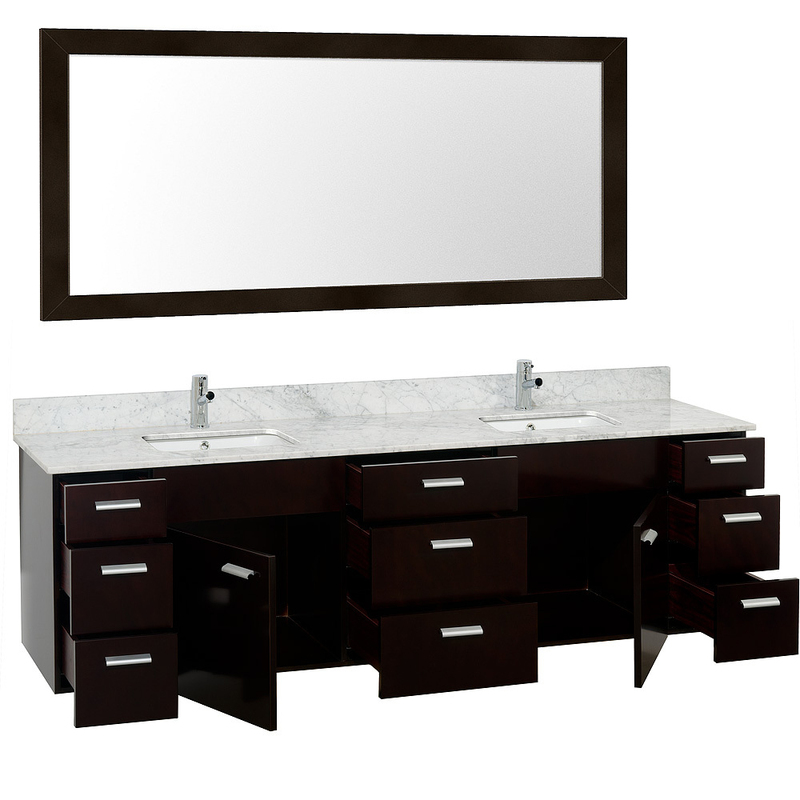 Featuring a cabinet that has a wall-mounted design, this vanity is perfect for giving your bathroom tons of function without taking up every inch of floor space it has. 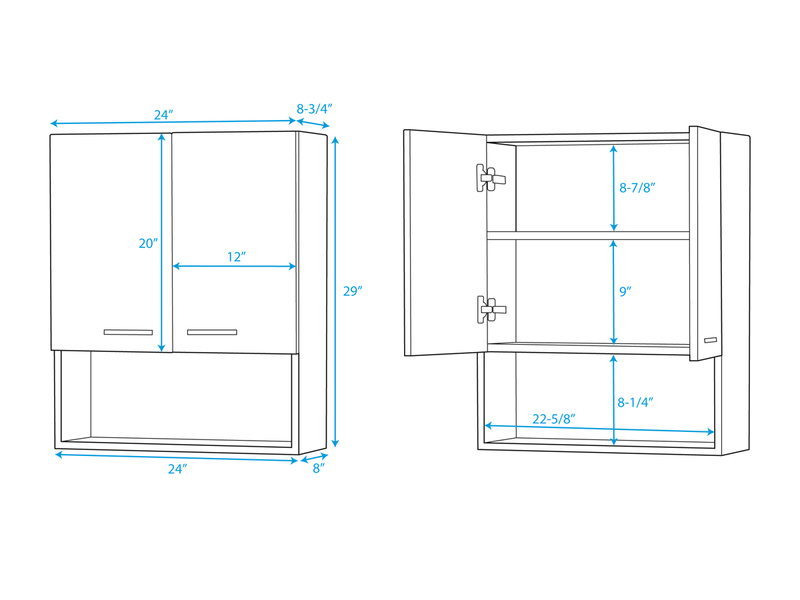 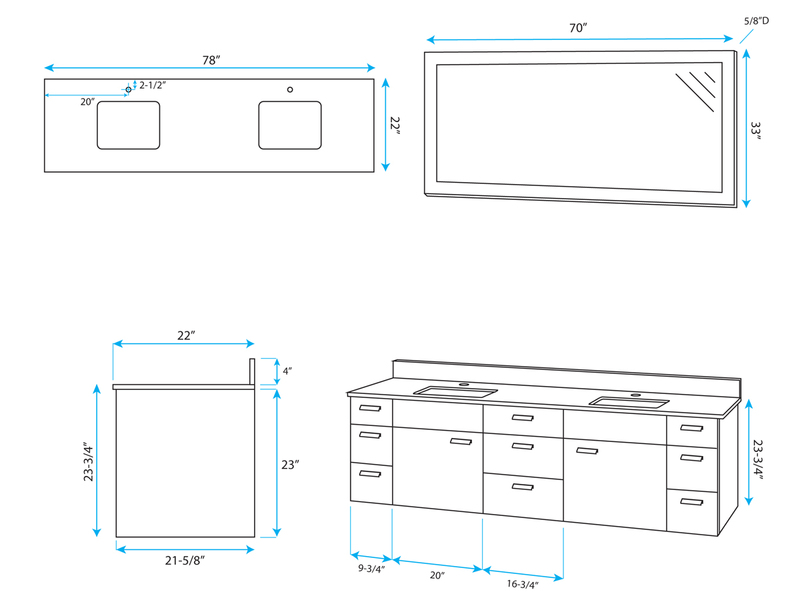 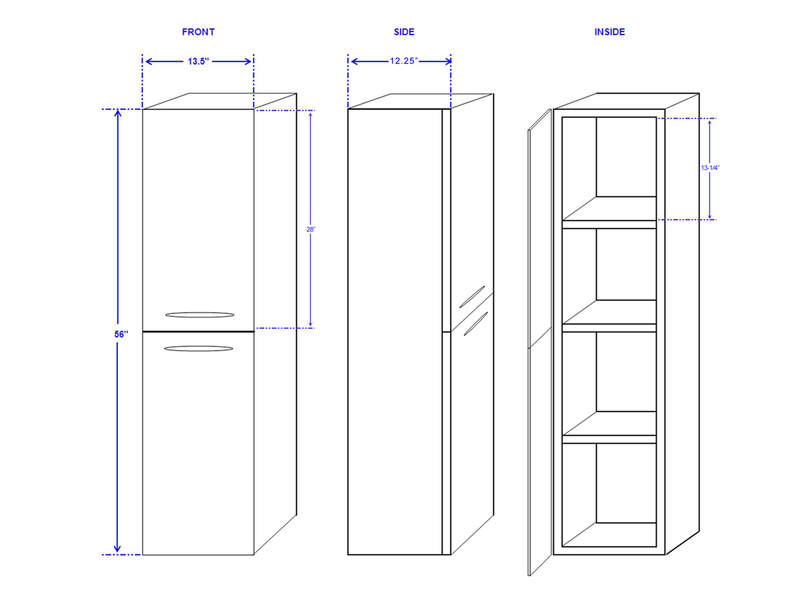 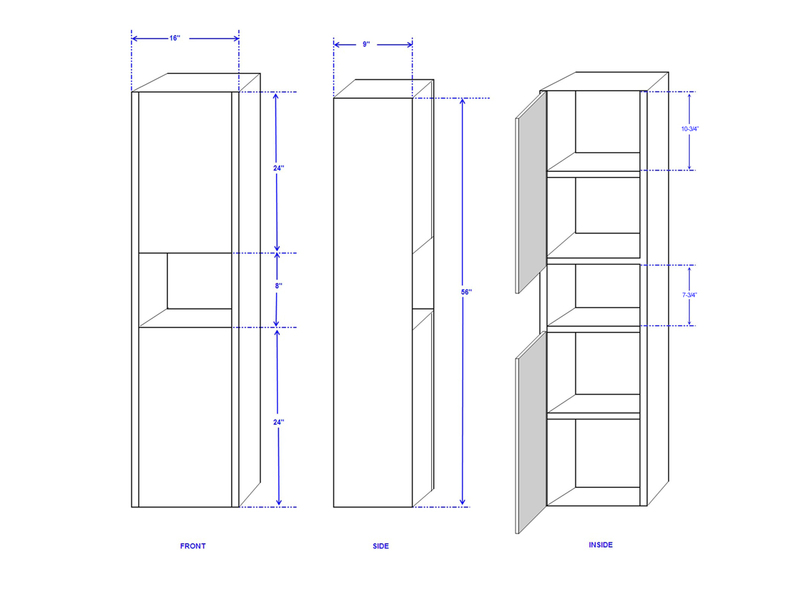 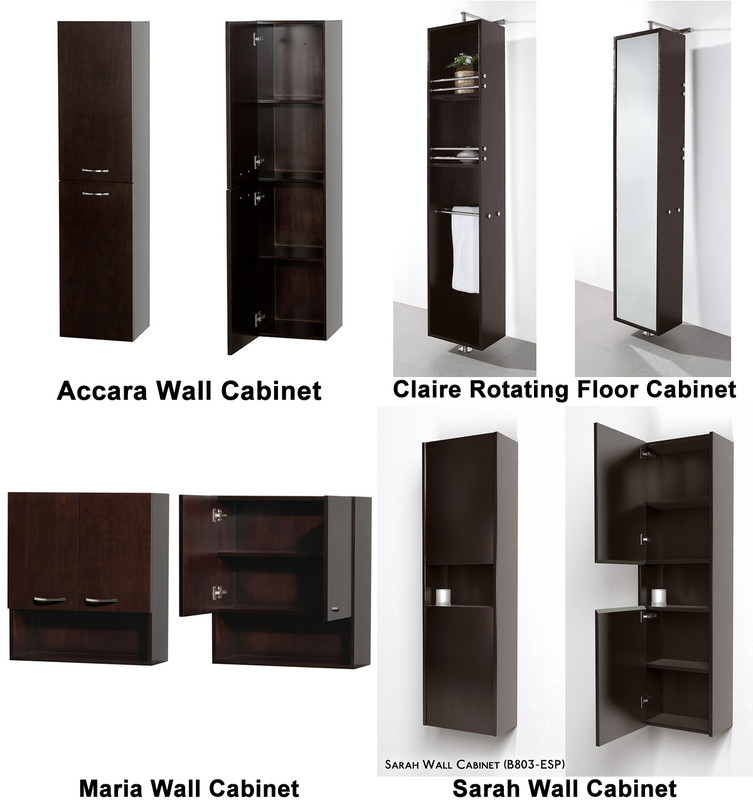 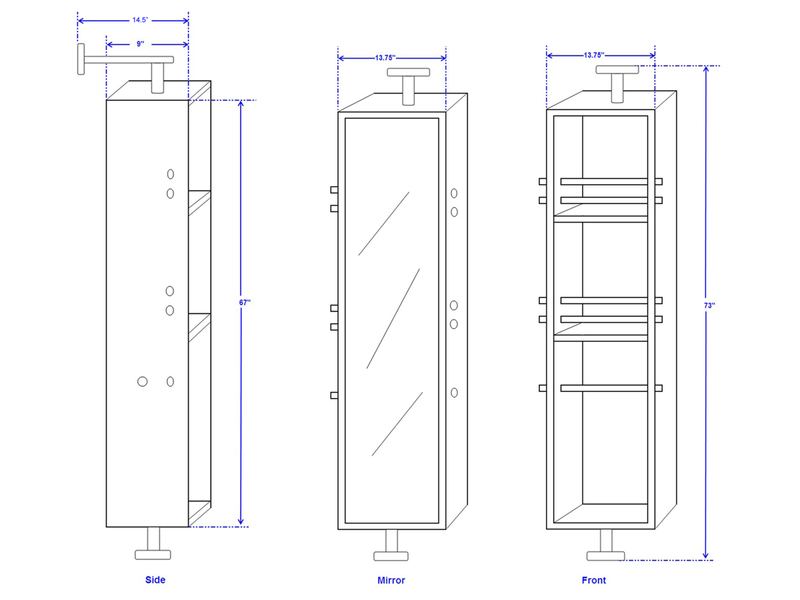 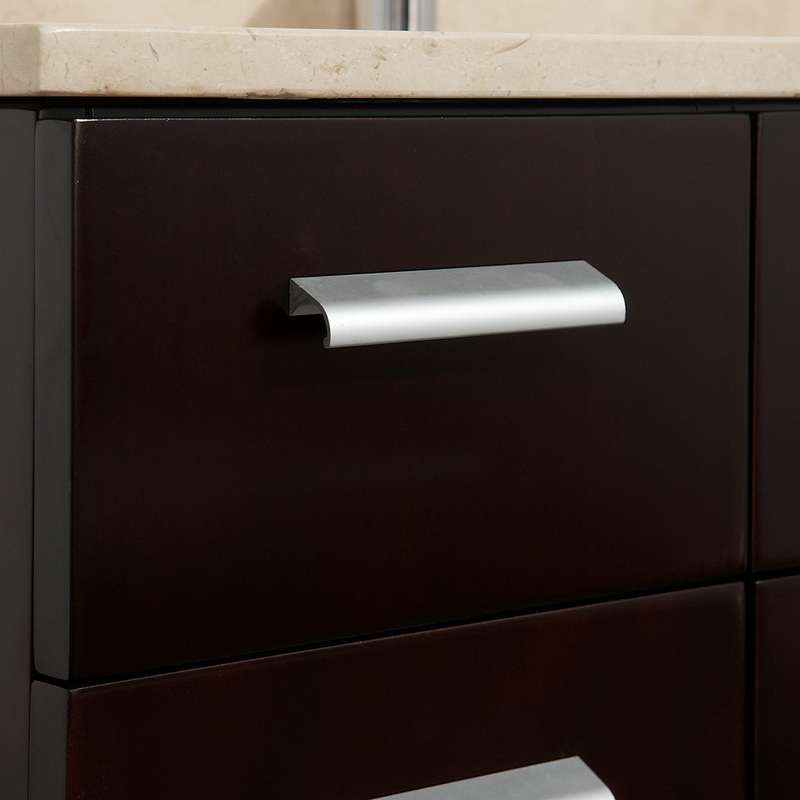 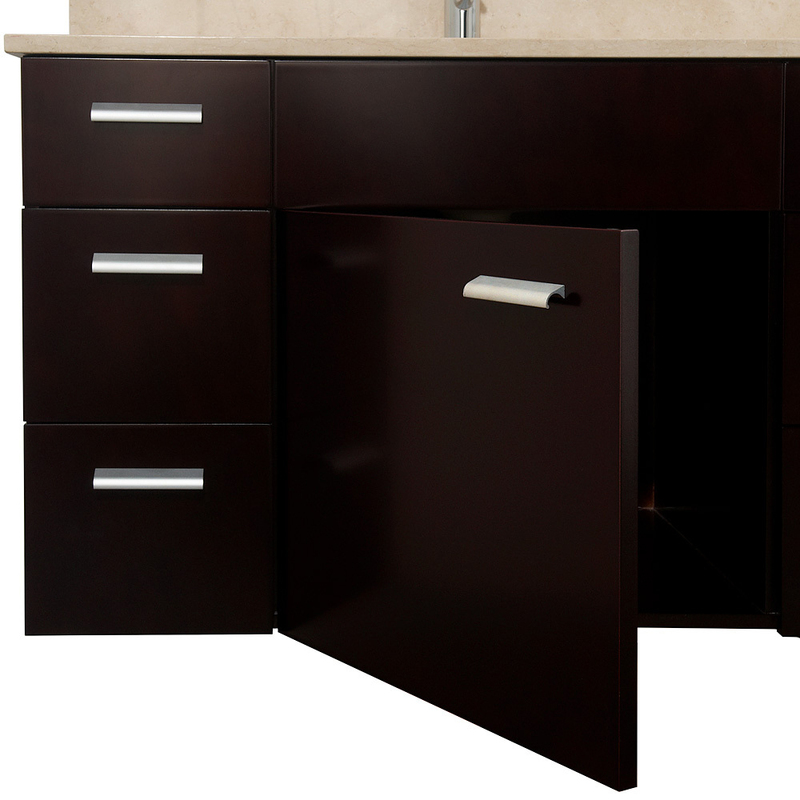 The cabinet gives you two single-door cabinets with 9 fully-functional drawers, all adorned with Brushed Chrome handles. 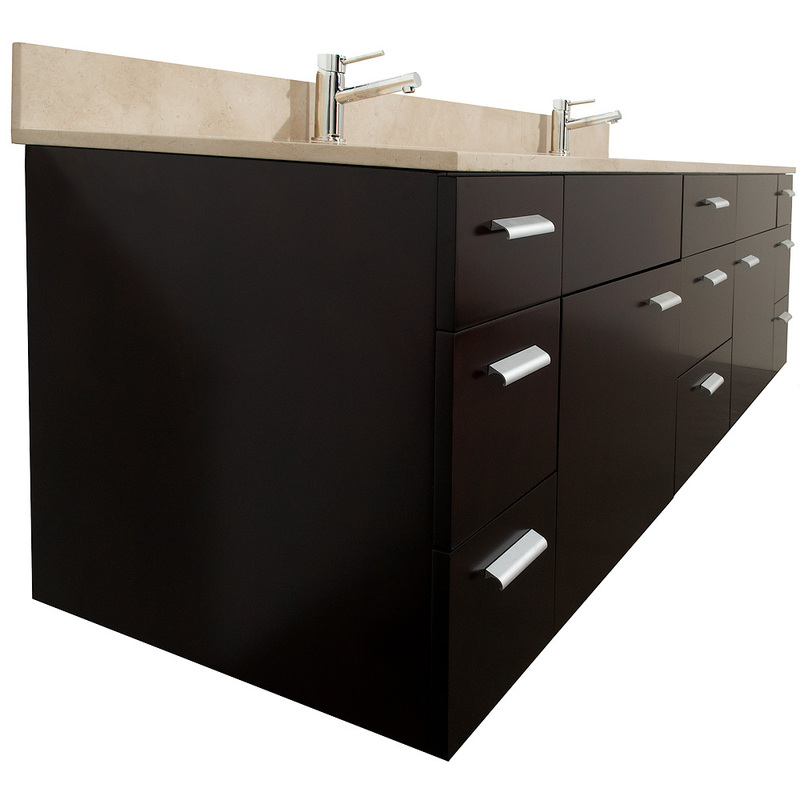 The top is available in Carrera White Marble, Ivory Marble, or Artificial Stone, all of which makes a lovely match to the deep Espresso finished cabinet. 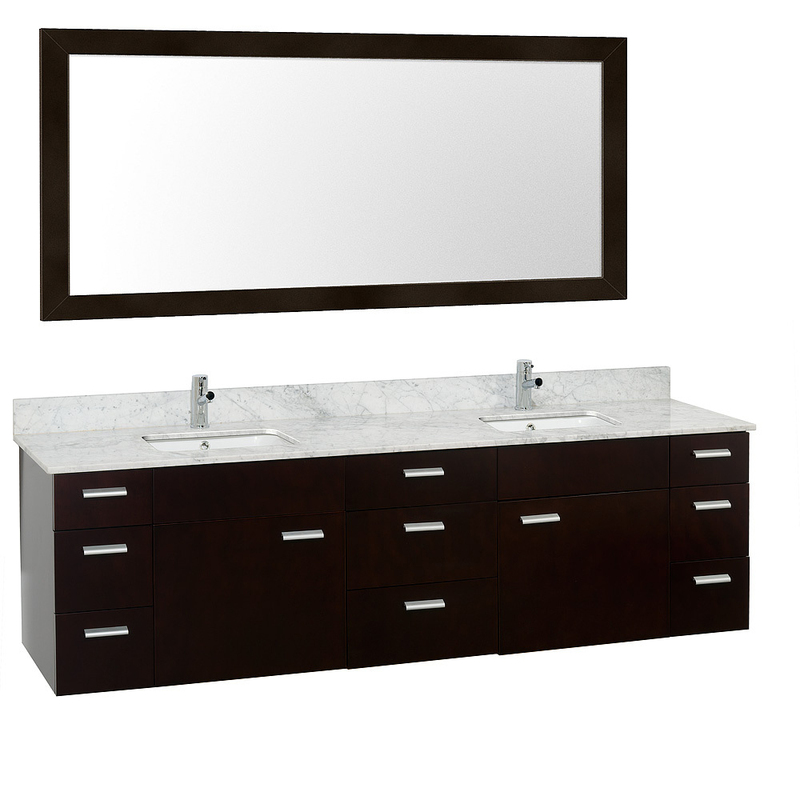 The matching mirror is included with the Encore.